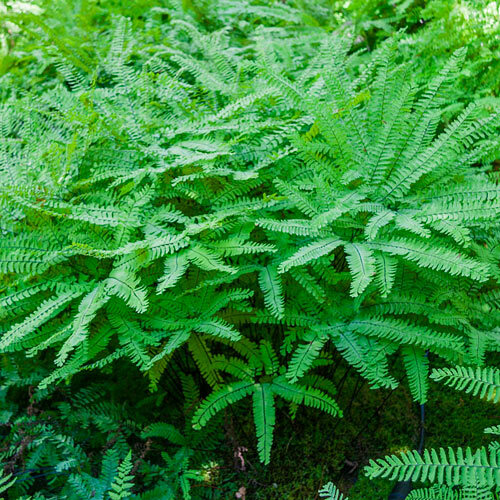 Delicate, lacy, soft green fronds and reddish-brown to black stems. Fast growing and decorative. Whether used in borders or as a background, ferns enhance any garden with their gracefulness and their beautiful varying shades of green. Easy to grow almost anywhere…thrive even when other plants fail. Soak roots before planting. Loosen soil well. Plant with eyes just below soil level and water well after planting. Prefers moist conditions, but also grows well in average garden soil as long as it is not allowed to dry out during spring and summer. Plant with eyes (sprouts) just below soil level.